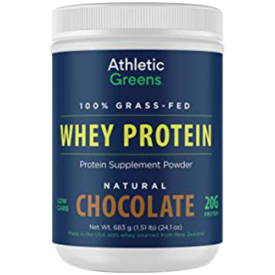 Home » Athletic Greens Whey Protein Review – Is Grass-Fed Better? 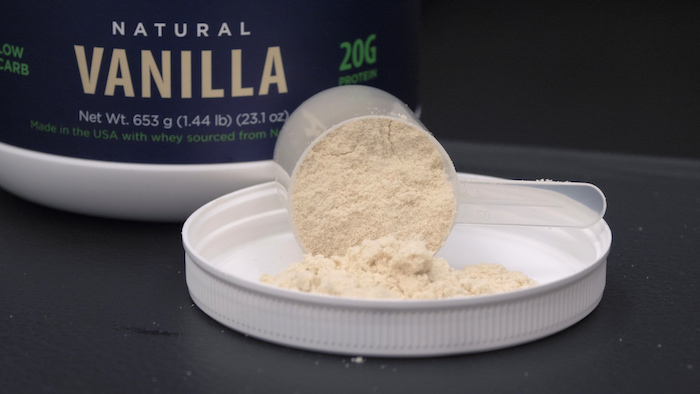 The company best known for their greens powder has launched into the protein powder industry. 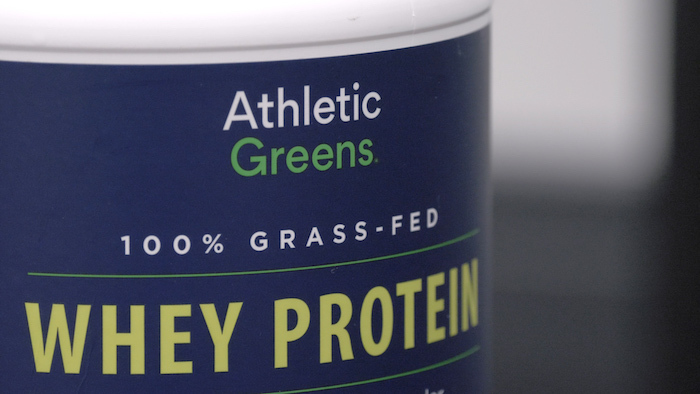 “The purest pasture raised whey on Earth” is the promise made by Athletic Greens for their 100% Grass-Fed Whey Protein. Founded in 2010, Athletic Greens is best known for their greens supplement, which I named the best green superfood power on the market. 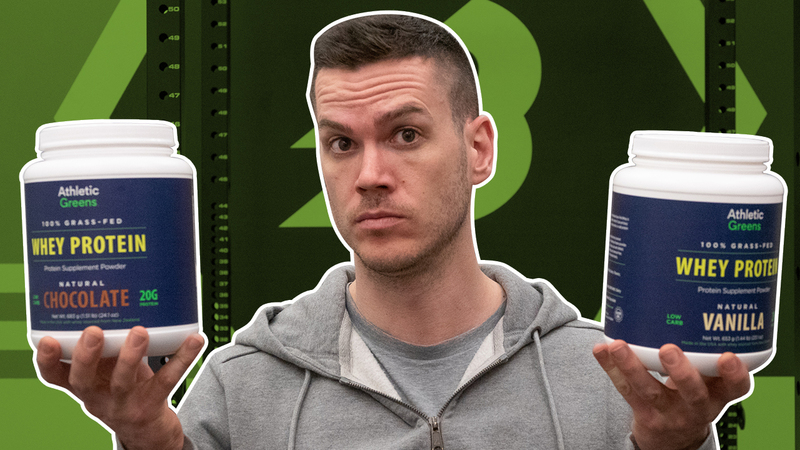 Since then, the company has decided to expand into other supplements, and what’s a supplement company without a protein powder? 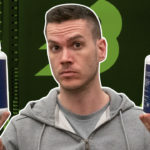 Their whey concentrate has been released in chocolate and vanilla flavor alongside a few other products like fish oil and a Vitamin D3/K2 supplement. 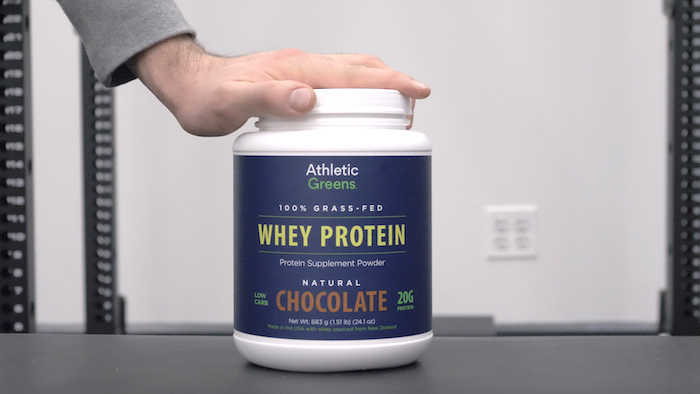 I was really excited to see what the company did with whey, and they’ve come up with a naturally flavored grass-fed whey that’s not just totally free from artificial ingredients, but may have higher levels of beneficial fats than conventional whey. A whey protein sourced from grass-fed cows in New Zealand, it's a protein that's about as close to "all natural" as you can get. Both flavors have roughly the same nutrition stats, though Chocolate has four more calories from an extra gram of carbohydrate. Here’s the info for Chocolate. Both flavors contain 100 percent Grass fed whey protein concentrate and stevia leaf extract. The only difference is the flavorings: Chocolate has Dutch cocoa, natural chocolate chip flavor, natural vanilla flavor, natural caramel flavor; Vanilla just has natural vanilla flavor and natural caramel flavor. Note that there are no artificial ingredients here, plus there’s no soy, corn, sucrose, dextrose, egg, peanuts, GMOs, herbicides, pesticides, or preservatives. So who can benefit from this product? The clear hook is the “natural” aspect: there’s basically nothing here to object to. Sure, there are no artificial flavors or sweeteners, but Athletic Greens goes several steps further. There are no GMOs, preservatives, there’s not even any sucrose or dextrose. There is competitorslactose though, and since there are no added digestive enzymes (like lactase), there might be issues for folks with very sensitive lactose allergies. The lack of digestive enzymes might be seen as a con; plenty of include enzymes like proteases or bromelain, which some research has suggested might improve nutrient absorption. (1)(2) It’s not a big deal, but it’s worth remembering that not every additive is necessarily bad in a protein. A big draw is the fact that the dairy comes from grass-fed cows from New Zealand. Grass-fed dairy has higher levels of beneficial fatty acids, like Omega-3 fatty acids and CLA, than the regular kind. (3) That said, those fats are well under ten percent of the fat content and this product only delivers two grams of fat per serving, so practically speaking the difference is negligible for your health. That said, grass-fed cows may have a smaller carbon footprint and they guaranteed to spend more time outdoors, so these factors may be important. A 1.44-pound tub costs between $32 and $37, so you’re looking at a little over $1.50 per scoop or around 7.5 cents per gram of protein. That’s about the upper limit of what I’d expect to pay for a grass-fed whey isolate, but for a concentrate it’s quite pricey. Note that the whey is imported and undenatured, which for some consumers may make the price worth it. I’m no product formulator but I know it’s not hard to make a protein that tastes good with milk, which adds cream and sugar to the product. 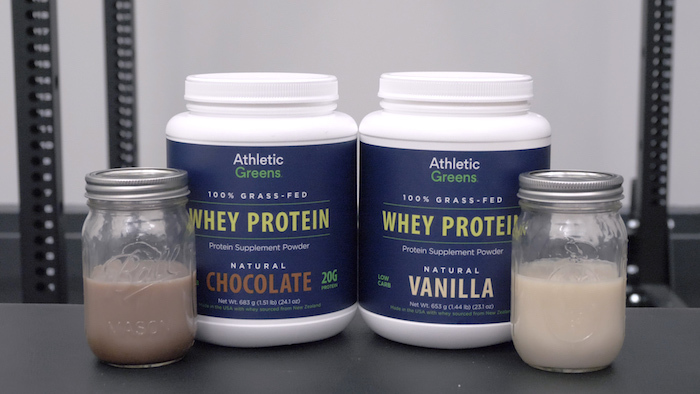 The real test of a good whey is how it tastes with water, which I did for Athletic Greens Whey Protein. Chocolate: Pretty underwhelming. 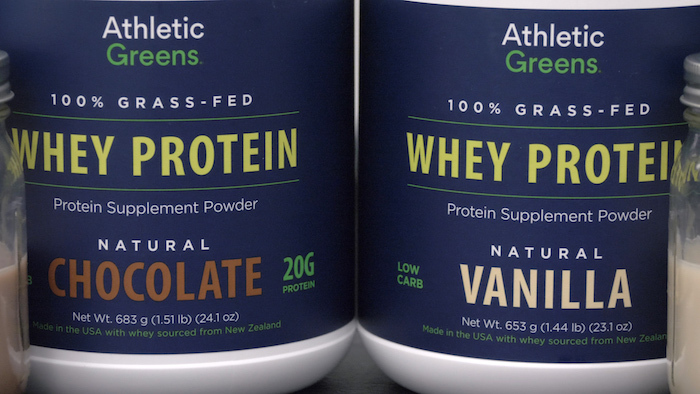 Unlike your standard chocolate wheys, which are flavored with cocoa and sweeteners and maybe some artificial flavoring, Athletic Greens has gone with natural flavorings — but perhaps too many of them. Again, there’s Dutch cocoa, natural chocolate chip flavor, natural vanilla flavor, natural caramel flavor, and stevia extract. Why they threw every flavor in there I’m not sure, but it makes for a jumbled, confusing flavor that hits the taste buds too hard. Vanilla: I was happier with this one, but be warned: it’s caramel flavor. The flavorings are natural vanilla flavor, natural caramel flavor, and stevia. I’m a big fan of both vanilla and caramel so I found this to taste fine, but it doesn’t really taste like vanilla. No gluten, corn, sucrose, soy, etc. This is a protein powder that’s aimed at a very specific crowd: those who like their products as natural as possible. In this area it succeeds on all fronts — there’s basically no ingredient in here that would alarm the health conscious consumer, all the way down to the better quality fats. It’s not that tasty and it’s not that low in carbs but if your priority is natural, Athletic Greens has got your back. 1. Muss C, et al. Papaya preparation (Caricol®) in digestive disorders. Neuro Endocrinol Lett. 2013;34(1):38-46. 2. Oben J, et al. An open label study to determine the effects of an oral proteolytic enzyme system on whey protein concentrate metabolism in healthy males. J Int Soc Sports Nutr. 2008 Jul 24;5:10. 3. Dhiman TR, et al. Conjugated linoleic acid content of milk from cows fed different diets. J Dairy Sci. 1999 Oct;82(10):2146-56.